Where is Lehigh Valley? Lehigh Valley is a two-county region in eastern Pennsylvania consisting of 62 municipalities and three cities; Allentown, Bethlehem, and Easton. 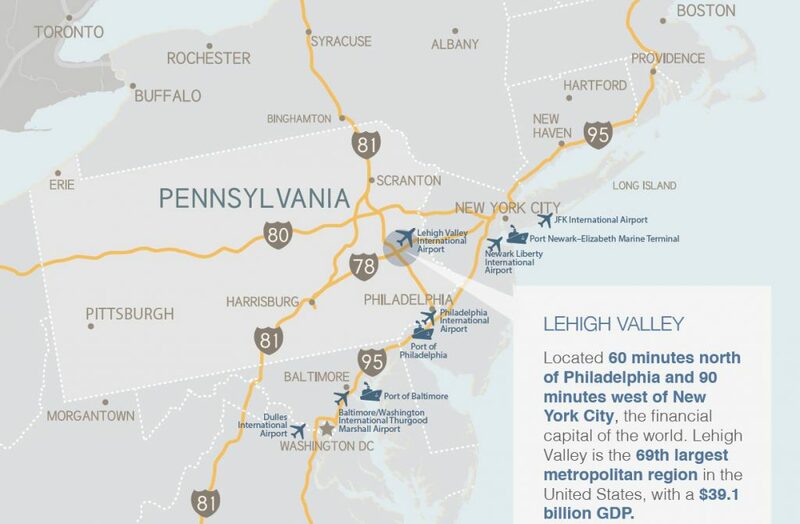 Located one hour north of Philadelphia and 90 minutes west of New York City, the Lehigh Valley is the 69th largest metropolitan region in the United States, with a $40.1 billion GDP that is larger than that of two entire states, Wyoming and Vermont. With more than 15,000 businesses contributing to an incredibly diverse industry base, Lehigh Valley is the fastest growing and third most populous region in the state of Pennsylvania with a population of more than 670,000 residents. Lehigh Valley was ranked one of the top five regions for development in the Northeast, and the number one region of its population size by Site Selection Magazine in its prestigious Governor’s Cup Awards for 2016, 2017 and 2018. The only regions that outpaced the Lehigh Valley in the Northeast were New York, Philadelphia, Pittsburgh, and Boston. 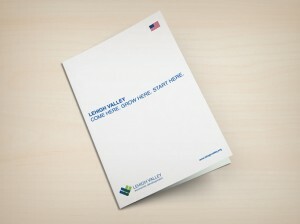 Browse through the PDF below to view Lehigh Valley assets. Request more information on this topic. We will get back to you as soon as possible.